Prior to joining PRIMA in 1994, Owner/Wine Director John Rittmaster founded and directed the Robert Mondavi/Opus One Pacific Rim sales and marketing office in Tokyo, Japan. Before joining Robert Mondavi, he worked in the international training department of Kobe Steel, a multi-national steel firm based in Kobe, Japan. Rittmaster’s degree in Art History and advanced studies in Art and Asian Studies, along with speaking fluent Japanese, provided the launching pad for his successful career. Rittmaster’s passion for wine began while on his own honeymoon while attending a wedding where the father of the bride brought out some incredible wines. He was inspired to learn more and subsequently went with his the new bride (now of 25 years) to California wine county. “During that first visit I began to understand why wine fascinated me. I discovered that wine is a lot like my other passion – art. The fun is in how both pursuits are abstract and subjective,” says Rittmaster. It was after that trip, that he began collecting wine and aggressively pursuing learning all he could about the wine industry. This, in turn, led to his being recruited by Robert Mondavi in Japan. 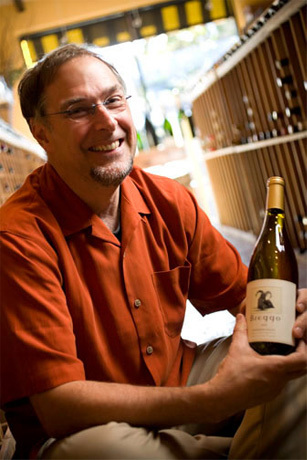 After fifteen years there, Rittmaster left Japan in 1993 and moved to Northern California and worked for the venerable wine merchant, Draper and Esquin until joining PRIMA where he has increased annual sales for the full service wine merchant from $250,000 in 1994 to close to $4 million today. Rittmaster leads an accomplished staff of wine experts, all of whom possess an incredible passion for the business and knowledge of PRIMA’s vast inventory. PRIMA is also nationally recognized as a leading source for eclectic, artisan wines produced by some of the world’s most sought after producers small from around the world; and it’s one of Northern California’s most important destination for Spanish, Antipodean and Italian wines. PRIMA’s staff takes pride in helping customers locate distinctive, fun-to-drink wines that stand apart from all the rest at any price point. 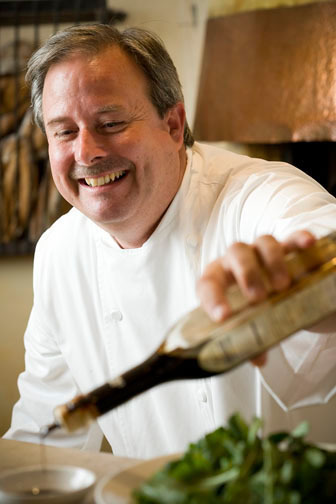 Peter Chastain joined Prima in 1999 as executive chef. In 2005, Chastain purchased the restaurant and wine retail store with his business partner John Rittmaster. Today Chastain continues Prima’s more than 34 year tradition of sharing the simple pleasures of the Italian table with his guests. Chastain, an American citizen of the world, has extensive international travel and cooking experience which is readily apparent in the cuisine of Prima. He has won national acclaim for embracing the Italian passion for excellent ingredient quality, freshness, and flavor. Chastain embraces Italian sensibility with foods that are exquisitely pure and immaculately simple. His style relies upon flawless execution to showcase the quality and freshness of each carefully selected dish. Having worked in Japan, Europe, and the United States, Chastain has extensive experience in all aspects of kitchen operations — from production to instruction. A native of Berkeley, California, he trained under several industry leaders in the San Francisco Bay Area and on the East Coast before residing in Japan for four years. Returning to the United States in the early eighties, Chastain studied under the late, renowned Ken Wolfe at Contra Costa College. Since then, he has taught classes on Italian cooking and culinary history in several private and public institutions. “I’ve been fortunate to have studied food and hospitality with amazingly generous and supportive teachers here and abroad. My goal is for that love and energy which was shared with me to come through in delicious food and a lively atmosphere at Prima,” says Chastain. 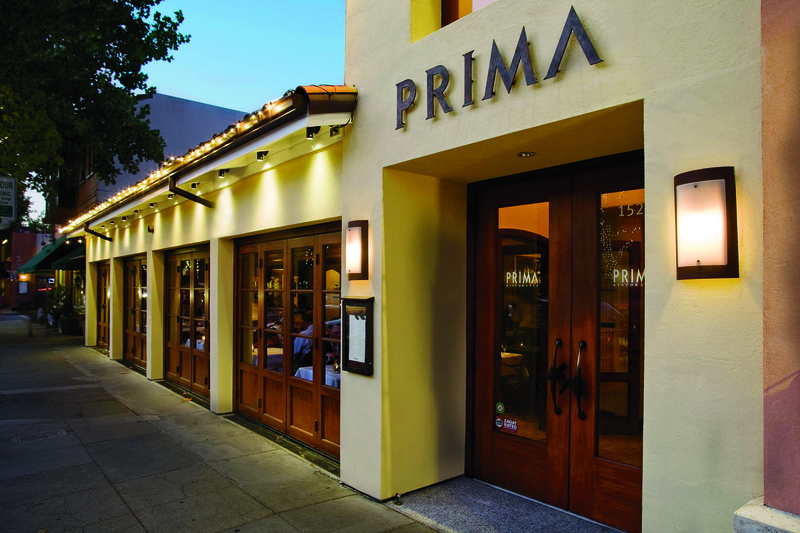 Prior to joining Prima, Chastain opened Mazzini Trattoria as executive chef, in Berkeley. He was also executive chef at Berkeley’s Ristorante Venezia for several years before serving as a consulting chef with Hilton International in Japan. (During Chastain’s previous sojourn in Japan, he was captivated by the Japanese attention to quality and detail and began to infuse those qualities into his work. He also met the love of his life whom he soon married.) He honed his craft and learned versatility in San Francisco Bay Area venues including Pacific Heights Bar and Grill, Janot’s, Clift Four Seasons Hotel, St. Francis Yacht Club and Paula Le Duc Fine Catering. In recent years on several stage tours to Barbaresco, Bologna, Florence, Marche, and Piemonte, Italy, Chastain has solidified the characteristic cooking style which is now the heart and soul of Prima.